For the past week or so, the island has been blanketted in fog. Occasionally in the afternoon we get glimpses of blue sky which sends shots of light through the lingering wisps of fog, creating forests of sunbeams. Even though I know that the sky is blue up above the fog bank, I live in a cocoon of grey softness. The fog will pass eventually, and we’ll have several days of full on sunshine. Time enough to finish up all the gardening in preparation for the short, wet days of winter, when it isn’t such an appealing idea to kneel out in the wet garden. But for now, we’ll walk the dogs, fix the fences, move the cattle, and enjoy the restful times reading in front of the fire. It really is fall now! Sometimes at the crack of dawn, I lie in bed thinking up what I want to cook. Then I mull around how I’m going to do it, and in the process fall back asleep. During those last few important minutes of morning sleep, my brain seems to do the work for me and I’m able to wake up able to make sense of an idea or a method. We had friends arriving to pick up their dog, which we had been looking after for a few weeks while they were at Crufts, and I wanted to make them something they’d both enjoy. She likes coffee and he likes tea that has steeped in a pot, preferably my white one. I remember one winter visit when I steeped his tea in my beautiful new red pot, and his first remark was to ask if we still had the white one. Anyhow what I wanted to serve was something fresh, with a bit of tang, and a touch of sweet almost labeling itself a dessert. So in those early hours, remembering that I had frozen raspberries from the previous summer, and some white chocolate hiding somewhere in the pantry, I went back to sleep. 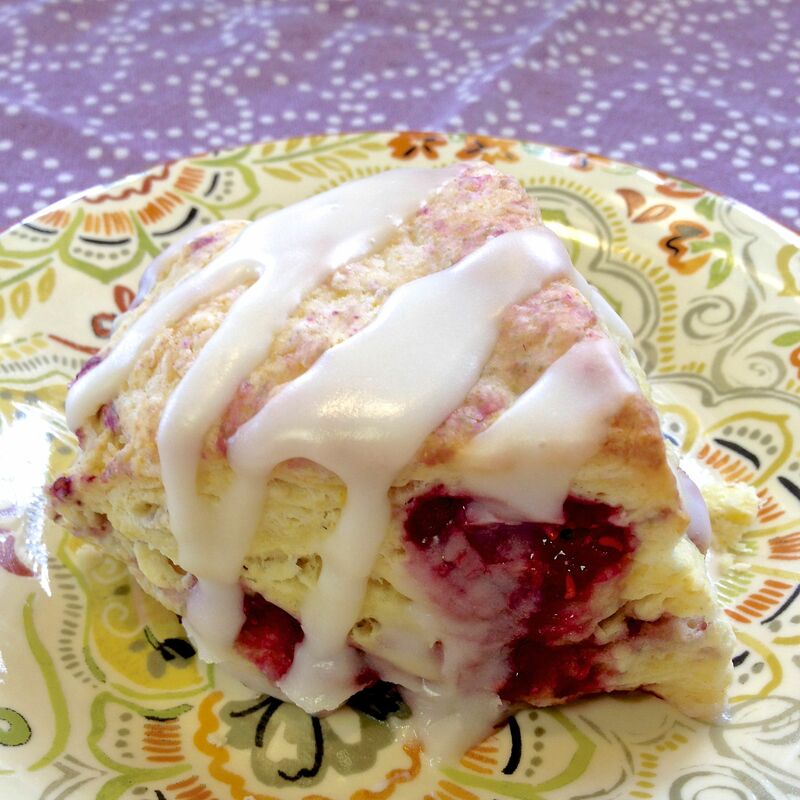 When I awoke, I couldn’t wait to get started on a scone packed full of the tang of raspberries & lemon, the lusciousness of white chocolate, with a bit of glaze to sweeten the whole thing. 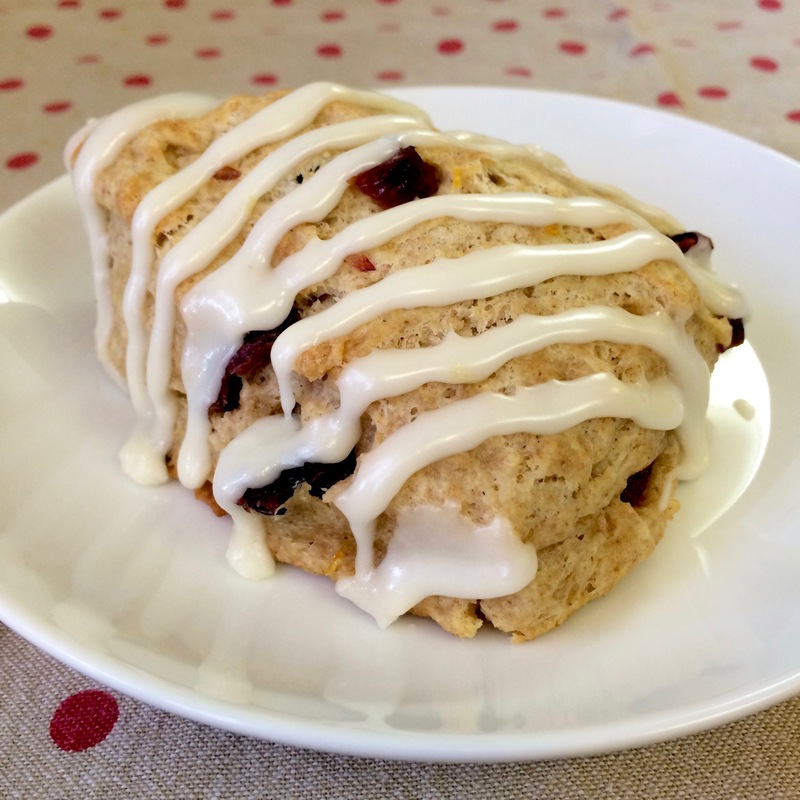 I can honestly say that I have made thousands of these scones. 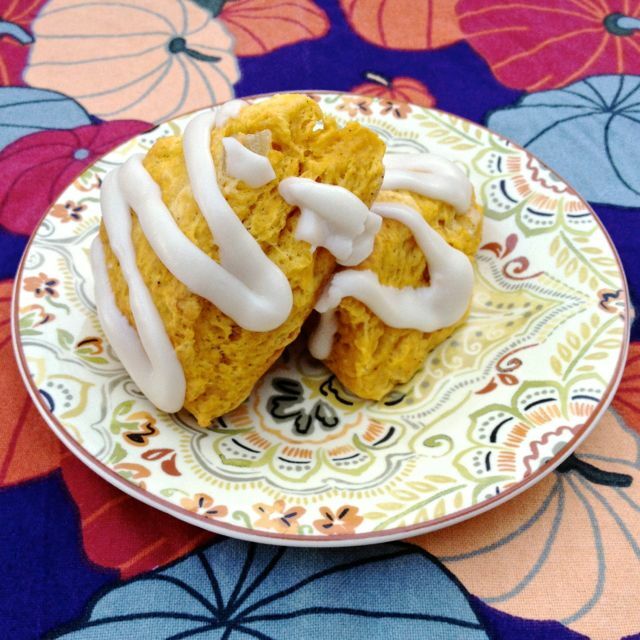 They’ve been a highlight for any breakfast event that I’ve prepared. They are so easy to prepare ahead and cook the morning that you need them. 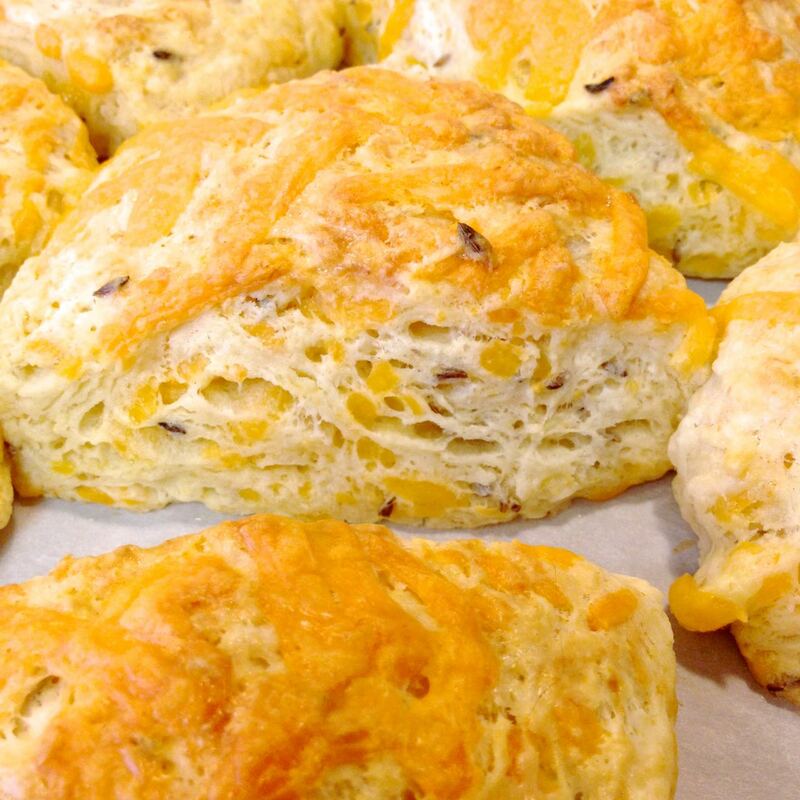 They are delicious warm from the oven early in the day, or later on as part of a light lunch. 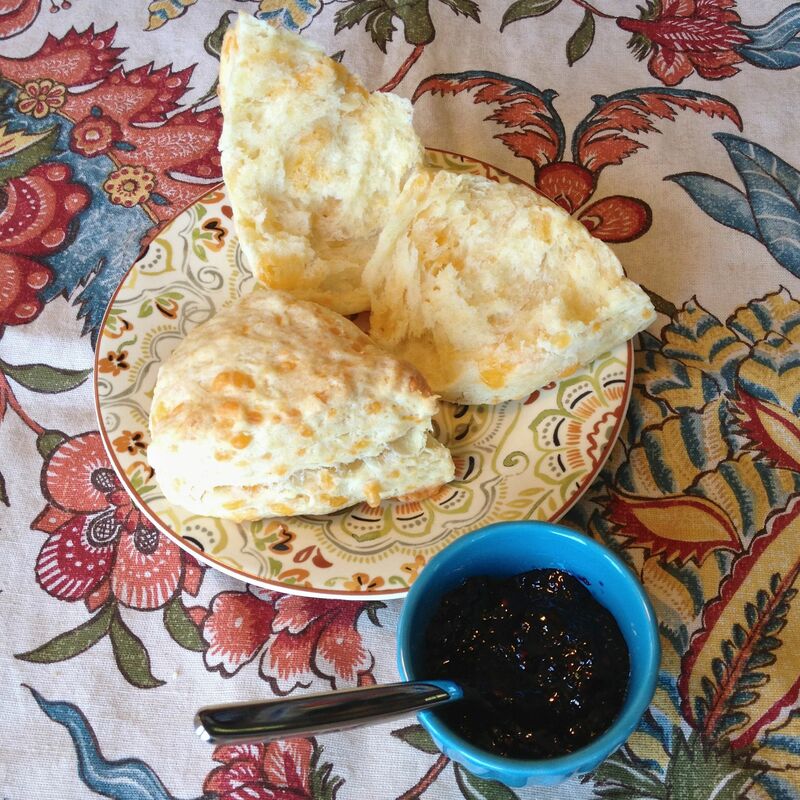 I used my mother’s old scone recipe, tweaked it a bit, and switched out dried currants for aged cheddar.